Spring is in the air. 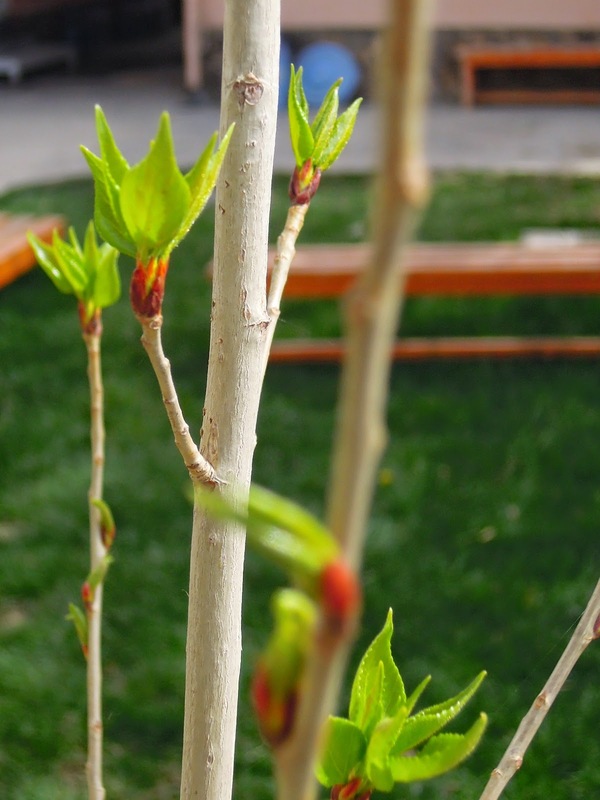 The trees are starting to grow their leaves. The swing outside beckons me to come and enjoy the sun. I am excited about spring coming after a long winter. I won't have to worry about keeping warm all the time, and hopefully our electricity will improve. Strawberries are starting to appear in the bazaar, and mangos will follow soon. Today we will even have friends over to use our outside pizza oven for the first time this year. I have been anticipating the joys of springs but in the back of my mind apprehension is creeping in. Last year it was spring when two tragic events happened in our community. It was on bright, sunny, spring days that our lives were suddenly changed. The past few months have been quiet. They have been cold but quiet. As spring comes in, a whisper says that maybe this spring will be peaceful. Another voice encourages fear. It wants me to be afraid of the unknown. It wants to steal the joy of this moment. It wants to hold me captive. That is why I am thankful to have words of truth spoken into the fear that wants to creep in. Through faith in Christ, though, that threat has been cast aside forever. For us as believers, the biggest, scariest, most intimidating, longest-lasting terror was turned away and destroyed. The crisis has been averted. The distress has passed. The guilt removed. The execution canceled. The God of the universe satisfied and vindicated. So we no longer need to fear. These words reminded me that God is "satisfied and vindicated." Since I have put my faith and trust in Jesus, I need no longer fear. When fears want to creep in, I need to take those fears captive and put them in perspective with God's words and his promises. Fear is designed by God and has a wonderful, protective benefit for us when it functions as God designed it. Instinctual fears are tremendous mercies, protecting us from danger before we even have time to think. Rational fears, the fears we have time to think about, when operating under the governance of faith, can protect us from all manner of foolish and sinful impulses and from external, deceptive evil. Misplaced fear becomes a tyrant that imposes constrictive limits and leaves us debilitated in some or much of our lives. Under its rule we don’t do what we know we should because we are afraid. The rest of the post advises us on how we can be free from the excessive fear that wants to creep in and take control. Mr Bloom's words remind me to fear God even in the midst of the storms that may want to overtake me. I encourage you to read both posts in their entirety.